Very challenging to build. Some pieces are very small, and hard to fit in place. Very detailed, and very impressive. 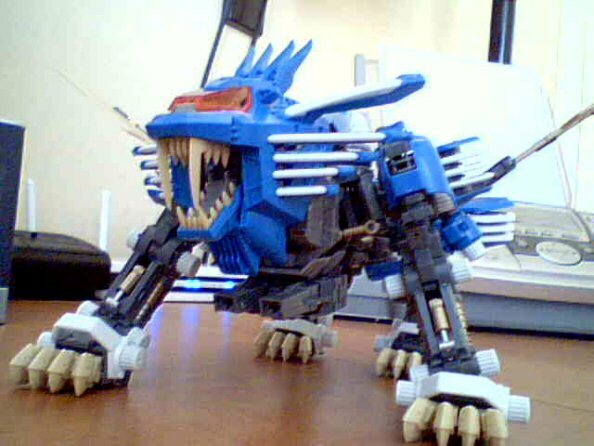 Kotobukiya Zoids are top-notch model kits, easily the most amazing Zoids out there. Slightly larger than the normal Blade Liger model kit. 5 1/2 inches tall, and 15 inches long. (From tip of tail to nose.) Length: [from tail to nose] 15"
Hight: [from head to foot] 5.5"
The entire Zoid is flexible, cockpit even has two seats, and a little control pannel in the front seat. There is also a small, red core that looks like a marble, hidden in the chest, under the head. If the legs come off, they are very hard to get back on, sometimes you never can, so you have to be more careful with it. Also, most of the parts are held together with very small stubs of plastic, so if you pull on something too hard, you might break it. Kotos\' are fragile but definately worth it. It isn't motorized in any way. Weighs about as much as the normal Blade Liger model. 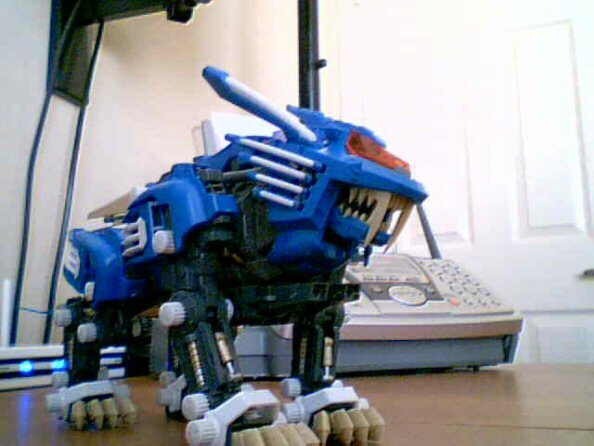 Comments: Kotos' are a must have for any Zoid lover. They are simply amazing. 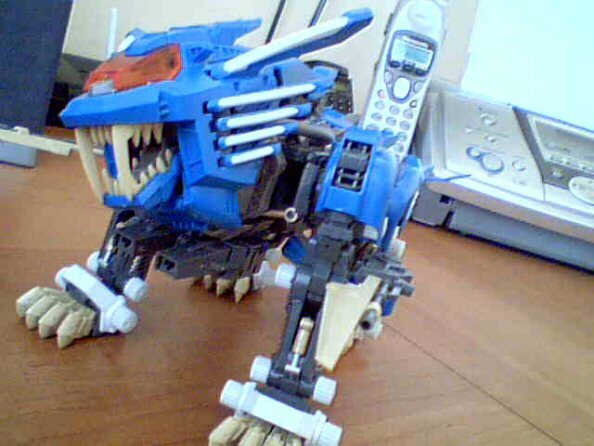 It's apperance is different to that of the normal blade liger. It has a sharper look to it, the head is a little more narrow, with razor sharp fangs that hurt your fingers. The paws have a better shape, and each toe moves individually. The front and back legs have metal springs on them, as well as some nice gold & silver parts added on to look like it could all come together to form a real working leg. Yet these pieces are all merely for show, that's just how detailed the Kotos' are.